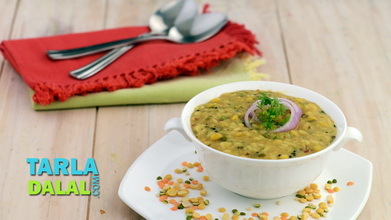 Traditional and wholesome are the words that describe this tasty dal most aptly. 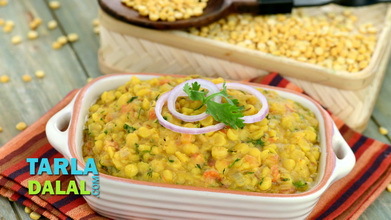 As the name suggests, Panchkuti Dal features a combo of five pulses, which gives it a unique texture, flavour and aroma. 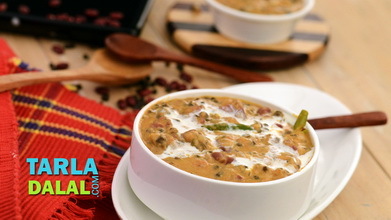 You will find that this dal does not get mushy, mainly because of the blend of many pulses with varied textures. 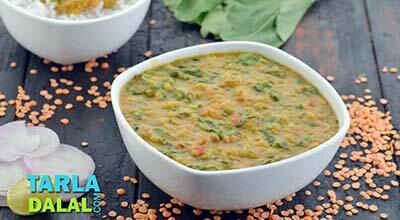 With a tempering of whole spices and seeds, and a team of ingredients like tomatoes, green chillies and ginger to add to the flavour, this dal becomes a full-fledged side-dish, which transforms even simple roti into a delicacy! 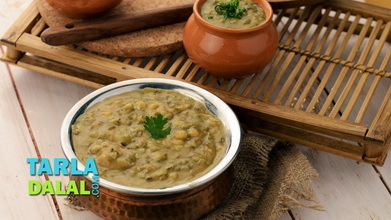 Wash all the dals and soak in enough water for 1 hour. Drain. 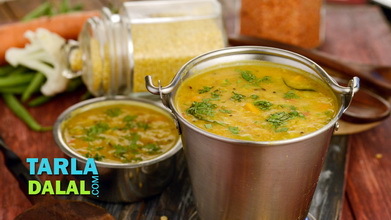 Combine the soaked dals with 1/2 cup of water in a pressure cooker and pressure cook for 3 whistles. 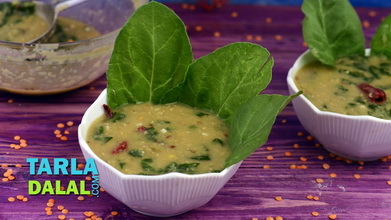 Heat the oil in a broad non-stick pan, add the mustard seeds, cinnamon, garlic, ginger, dry kashmiri chilli and curry leaves, mix well and sauté on a medium flame for 1 to 2 minutes. Add the tomatoes, mix well and sauté on a medium flame for 1 to 2 minutes. Add the garam masala, coriander and green chillies, mix well and sauté on a medium flame for a minute. 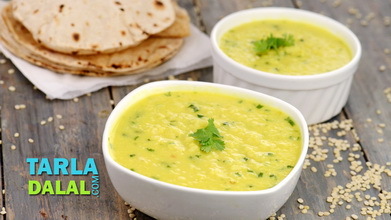 Add the prepared cooked dal, salt and lemon juice, mix well and cook on a medium flame for 5 to 7 minutes, while stirring occasionally.